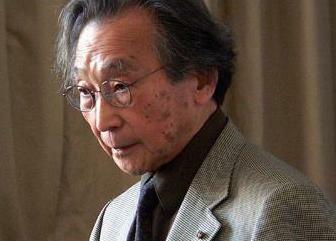 Chou Wen-chung is one of the extraordinary composers of our time. Born and raised in a chaotic, civil war-torn China, Chou came to the U.S. and studied music at New England Conservatory and Columbia University. The two formative influences on his music are polar opposites: the music of the delicate and ancient qin—the 7-string Chinese zither that he heard as a child–and the music of his mentor, the radical proto-noise-rock composer Edgard Varèse. The highlight of the evening will be a performance of Mr. Chou’s expansive string quartet Clouds, by the Brentano String Quartet, who commissioned the work. Also on the program is Chou’s The Willows Are New, performed by pianist Jenny Lin. This piece is based on a poem by Wang Wei (689-759) and uses the piano in decidedly non-western-pianistic ways. Stephen Dydo will perform an ancient composition on a rare silk-stringed qin, and Claire Chase will play Edgard Varèse’s Density 21.5, for solo flute, which she recently performed to great acclaim at Alice Tully Hall. Q2’s Nadia Sirota hosts the evening. The event will be a live audio stream at www.wqxr.org/q2, in addition to a live video webcast at www.wqxr.org/q2 and www.thegreenespace.org.